The World Ends… Again? Meh. Beware September 2015! A Great Deception is Brewing! I Know What is Going to Happen and it is Not What You Think! The Mystery Of September 23: Why Does 9/23 Keep Popping Up All Over the Place? And the Internet is full of a whole bunch of other “September 23rd” doomsday sites. I swear every year or two these things pop up like roaches; with the true believers, it’s like a game of perpetual whack-a-mole, because no matter how many times these predictions are wrong (which is EVERY TIME), they just keep coming back for more. • Yom Kippur, the Jewish Day of Atonement. • President Barack Obama is scheduled to meet with Pope Francis at the White House. Of note is that Francis is the 266th Pope, September 23 is the 266th day of the year, and the average length of human gestation is 266 days. • A range of dates that Comet 67P is scheduled to make an extremely close passage of Earth, September 15-28. • The September restart of the CERN Large Hadron Collider will open a portal to another dimension. • The end of Jade Helm 15 on September 15. • The September 25th launch of a new UN initiative, Agenda 2030, which signals the end stage of Agenda 21 implementation. • The date of the last of the “Four Blood Moons” heralding the End Times, on September 28. 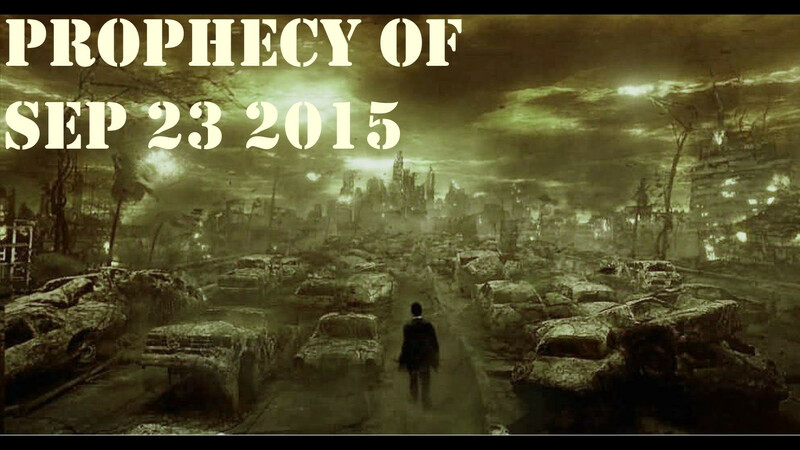 • The approximate date of predicted economic collapse. • The end of a Shemitah year in the Jewish Calendar, the last year of the seven year agricultural cycle, that traditionally brings with it great tribulation. All of these events have been prophesied to form a combination that will bring on the End Times. What are the sources of these predictions? • The obvious confluence of the three major world religions on September 23. 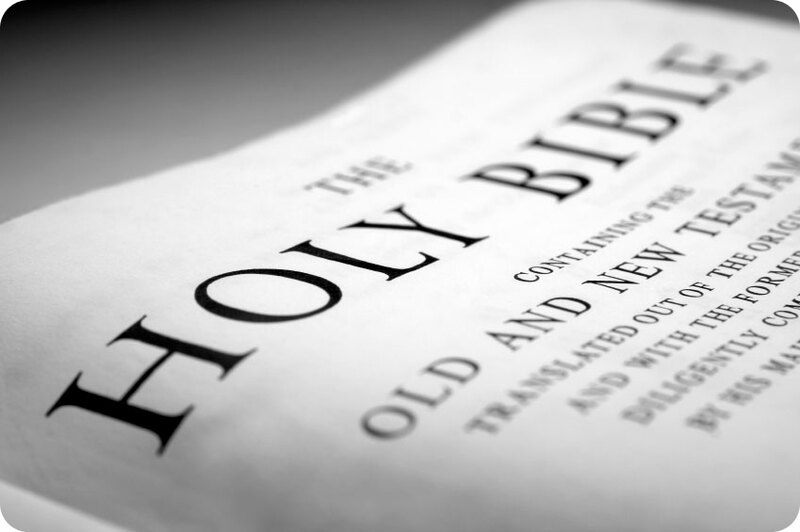 • Biblical prophecy, specifically the “Four Blood Moons” prophecy. • The End Times prophecy of Sir Isaac Newton. • A dire warning from French Foreign Minister Laurent Fabius, who claimed on May 13, 2014 that we have “500 days to avoid climate chaos.” 500 days after May 13, 2014 is September 24, 2015. • Prophetic dreams and visions by people attuned to such things. • Predictive programming in Hollywood entertainment – specifically, many uses of the numbers “9” and “23” in films and TV. Hmm, that’s quite a lot of scary End Times stuff, isn’t it? Except that the End didn’t come. But that won’t stop the apocalyptic fanatics from continuing to make their doomsday predictions; indeed, a quick Google search for “the coming apocalypse” will yield a mountain of Internet fodder to feed all the Bible-thumping, paranoia-inducing, hide-in-your-basement, conspiracy-mongering that you could ever want regarding future end-of-the-world predictions. Here’s a prediction that you can take to the bank: the next apocalyptic prediction will pan out like all the previous ones… it will be dead, flat wrong. 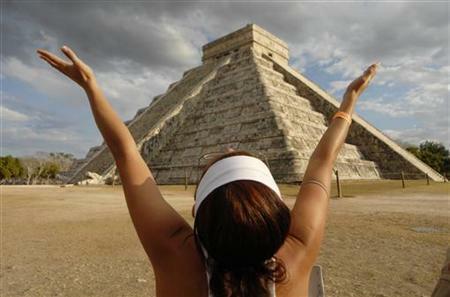 So Much for The End of the World, Mayan Style! The World is NOT Going to End on December 21st!!! We’re less than a month away from the so-called end of the world, but NASA says you don’t have anything to worry about. Earlier this month, NASA posted a list of frequently asked questions about why the world won’t end in 2012, like some believe the Mayans calendar indicates. Personally, I cannot wait until December 22nd. Because then there are going to be a LOT of people with a LOT of egg on their faces, just like all the other times the world was predicted to end and it didn’t. In fact, regarding all the doomsday predictions ever made in the past, there is one thing they all have in common: They were all dead wrong. We’re All Doomed, DOOMED!!! Or Are We? Killer asteroids, LHC-generated black holes, nuclear meltdowns, alien invasion, zombie apocalypse, global ecological collapse, financial recession/depression, the Mayan 2012 prophecy… AAAGGHH! Run for your lives! We’re all doomed, DOOMED!!! Or are we? What are some real or imagined doomsday scenarios, how dangerous are they really, and how likely is it that each could occur? If you’re looking for a good scientific look at these questions, with a few chuckles along the way, then this is the panel for you. Join us for a discussion of all things apocalyptic, because talking about the end-of-the-world is fun! The first day of Convergence 2012 involved the usual… checking into the hotel, getting registered for the Con, and so on. But for me it also included a very fun, late-night panel about various doomsday scenarios, including killer asteroids, massive solar flares, outbreaks of deadly infectious disease (think the Black Plague), the potential failure of the Internet, release of so-called “grey goo” nanites, nuclear war, and everyone’s favorite – zombies! As readers of this site know, May 27, 2012, is the time that I have stated as being the date Jesus Christ will return as King of kings over all government on this earth. For such an event to come to pass, the Trumpets of Revelation must all sound, the United States and dollar collapse, the ten nations of Europe arise to fulfill the final revival of the Holy Roman Empire, and Russia with China must unite against Europe in WWIII. As an aside, readers of this site should also grasp that as far as prophecy is concerned, ten nations in Europe have already combined in association with one another to the degree that the mixture of clay and iron is fulfilled. All that remains is their entrance into a final war, a prophecy that can be fulfilled quickly, as this posting will cover. How is it possible or even conceivable that all these things can happen in such a short time? And what if none of these events have occurred as late as five, four, or even three days before Jesus Christ is to return? Is it truly reasonable that Christ is coming on May 27th? No, it is not reasonable, not within the parameters of man’s thinking. When this date was given just over three and a half years ago, it was not reasonable to people then, and now it has simply become that much more unreasonable. Folks, as the saying goes, this is deja vu all over again. Here we are, on the day after supposed armaggedon, and there’s no nuclear holocaust, no fire raining down from heaven, no Rapture, and no return of Jesus Christ. In fact, things seem to be moving right along just as they were yesterday and the day before that (and so on…). Need I point out the obvious, yet again? The obvious being that every single time one of these religious fundamentalists rants about the end-of-the-world, they end up being wrong. And, for the record, over the course of human civilization, there have been a LOT of these failed predictions! Which begs the next obvious question: why does anyone bother to listen to these so-called “prophets” anymore? No doubt, unless you’ve been living in a hole, you have heard about the supposed end-of-the-world coming this December 21st, 2012 – at least, that’s what some New Age whackadoodles and apocalyptic doomsayers would have you believe. Why do they believe this? Because, according to them, the Mayan calendar predicts it. The oldest-known version of the ancient Maya calendar has been discovered adorning a lavishly painted wall in the ruins of a city deep in the Guatemalan rainforest. The hieroglyphs, painted in black and red, along with a colorful mural of a king and his mysterious attendants, seem to have been a sort of handy reference chart for court scribes in A.D. 800 — the astronomers and mathematicians of their day. Contrary to popular myth, this calendar isn’t a countdown to the end of the world in December 2012, the study researchers said. Oops. That’s embarrassing. So the Mayan calendary doesn’t predict the apocalypse? Why exactly is that? … The Maya recorded time in a series of cycles, including 400-year chunks called baktuns. It’s these baktuns that have led to rumors of an end-of-the-world catastrophe on Dec. 21, 2012 — on that date, a cycle of 13 baktuns will be complete. But the idea that this means the end of the worldis a misconception, Stuart said. In fact, Maya experts have known for a long time that the calendar doesn’t end after the 13th baktun. It simply begins a new cycle. And the calendar encompasses much larger units than the baktun. In one column, the ancient scribe even worked out a cycle of time recording 17 baktuns, the researchers found. In another spot, someone etched a “ring number” into the wall. These notations were used to record time in a previous cycle, thousands of years into the past. The calendar also appears to note the cycles of Mars and Venus, the researchers said. Symbols of gods head the top of each lunar cycle, suggesting that each cycle had its own patron deity. Of course, another reason to doubt the claims of the doom-mongers, despite the structure of the Mayan calendar, is the fact that no matter what the source for the supposed end-of-the-world prophecy, every prophecy of this nature in the past has had one thing in common: THEY HAVE ALL FAILED SPECTACULARLY! This includes at least one high-profile prediction from last year! (Reuters) – – Nearly 15 percent of people worldwide believe the world will end during their lifetime and 10 percent think the Mayan calendar could signify it will happen in 2012, according to a new poll. The end of the Mayan calendar, which spans about 5,125 years, on December 21, 2012 has sparked interpretations and suggestions that it marks the end of the world. “Whether they think it will come to an end through the hands of God, or a natural disaster or a political event, whatever the reason, one in seven thinks the end of the world is coming,” said Keren Gottfried, research manager at Ipsos Global Public Affairs which conducted the poll for Reuters. “Perhaps it is because of the media attention coming from one interpretation of the Mayan prophecy that states the world ‘ends’ in our calendar year 2012,” Gottfried said, adding that some Mayan scholars have disputed the interpretation. Wow, I don’t know whether to laugh or cry. But one thing’s for sure: I predict that we’ll be here in 2013 to show that this Mayan doomsday prophecy is just a load of crap; and I say that not just because NASA recently crushed these stupid prophecies. After all, people have been predicting doomsday for thousands of years, with supposed divine revelation or prophecy to back them up, and all that time there’s been one thing common to all those predictions: they’ve all been dead wrong. Scientists at NASA’s Jet Propulsion Laboratory have put out a new video to address false claims about the “Mayan apocalypse,” a non-event that some people believe will bring the world to an end on Dec. 21. Ronald Weinland, who considers himself a prophet of God, continues to warn that Jesus Christ is returning on May 27, 2012. For those who do not believe him and mock his message, Weinland claims that they will die from cancer. I like the whole “you’ll die from cancer for mocking me” bit; it just seems to show that the good “Prophet” Weinland is full of Christs’s love. Seriously though… this again? Wasn’t it just last year when there was another high-profile failure of the end-of-the-world prediction? Now here’s another prediction of doomsday (but this time it’s the real thing, honest!). Wouldn’t you think that, given their terrible track record of failed religious predictions of this nature that people would learn to just ignore these loons by now?